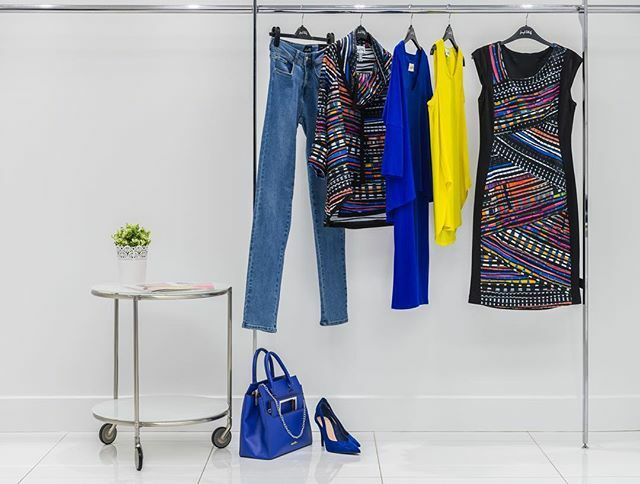 Spring is all about colour and vibrant prints to uplift your style! Lighten up with lightweight knits and jackets, flowy rayon tops, and casual dresses. 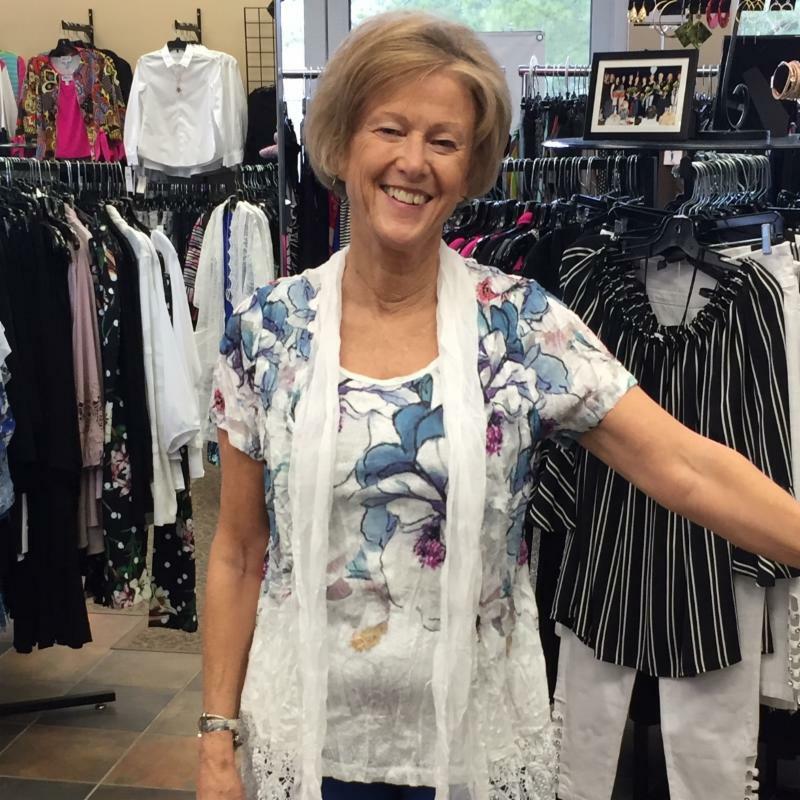 If you're looking for classic pieces in neutrals like tan, grey, white, navy and black, we have many great options and cuts for spring and summer style. If you're travelling to Europe or warmer climates, shop now for easy to pack pieces. Have you bought your tickets to Fashion for Compassion yet? Only 4 tables left! 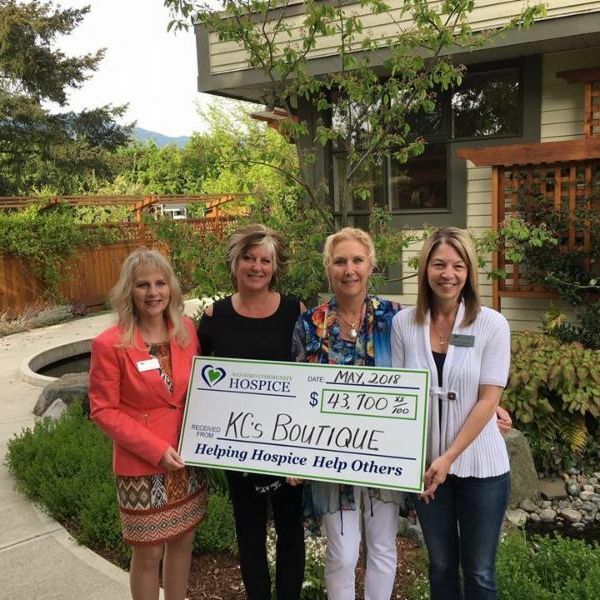 Fashion for Compassion is a FUNDRAISER event for a special community organization, The Nanaimo Community Hospice Society. We have supported them for many years and we have witnessed firsthand the amazing work they do. The people behind Hospice, including the incredible volunteers, help all ages through a difficult time with compassion and care. Our goal is to maximize donations for this community leader while enjoying a wonderful afternoon that includes fashion, high tea service, and a silent auction. Designed in Scotland, Marble arrives in colour groupings for the next few months so there is always something fresh to discover. This new season features even more natural fabric blends, plus lots of unique details! We call our customers when these boxes arrive at our door and some pieces never even make it to the floor! If you'd like to be notified as soon as each shipment arrives, please let us know by calling 250-751-7799 or visiting us at the Boutique. 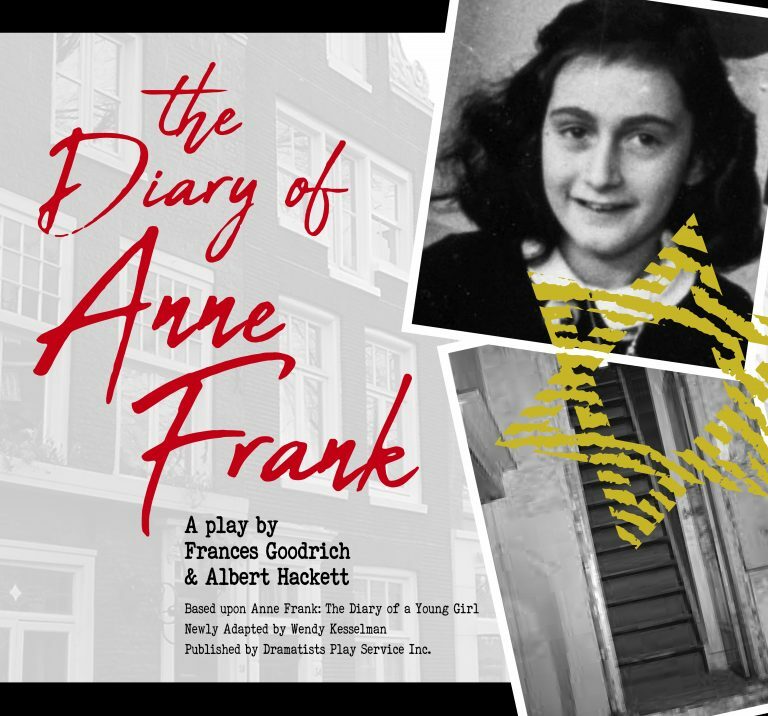 The next shipment is expected to arrive the first week of May. Parsley & Sage tops reflect a casual look that is up to date and easy to wear. 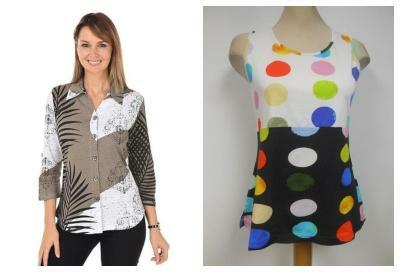 Made from cotton, rayon or fabric blends, these distinctive tops and tunics are comfortable and fun. Designed in Australia, this line is created to keep you cool and comfortable in the heat. New arrivals include a full collection of casual dresses in multitudes of prints and colours, as well as matching shrugs for effortless style. There are simply too many styles to show so we recommend you see what’s available in person. Looking for colour? This is your line! 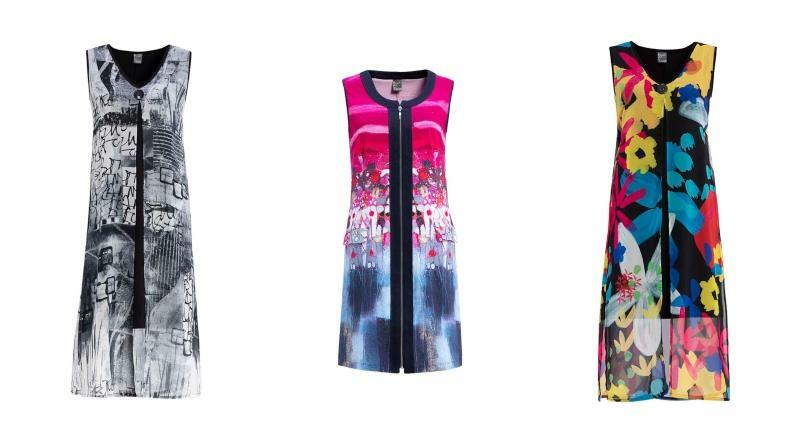 Art-inspired pieces including vests, dresses, t-shirts, and jackets are here in vibrant prints and colours. Dresses from Dolcezza are huge this month; we have so many gorgeous styles. Come in and shop this European-inspired line! Reversible maxi dresses that are two styles in one, plus they come with a scarf doubling as a pashmina. Perfect for travel, special events and summer weddings! More stylish tops from this Canadian designer have arrived. 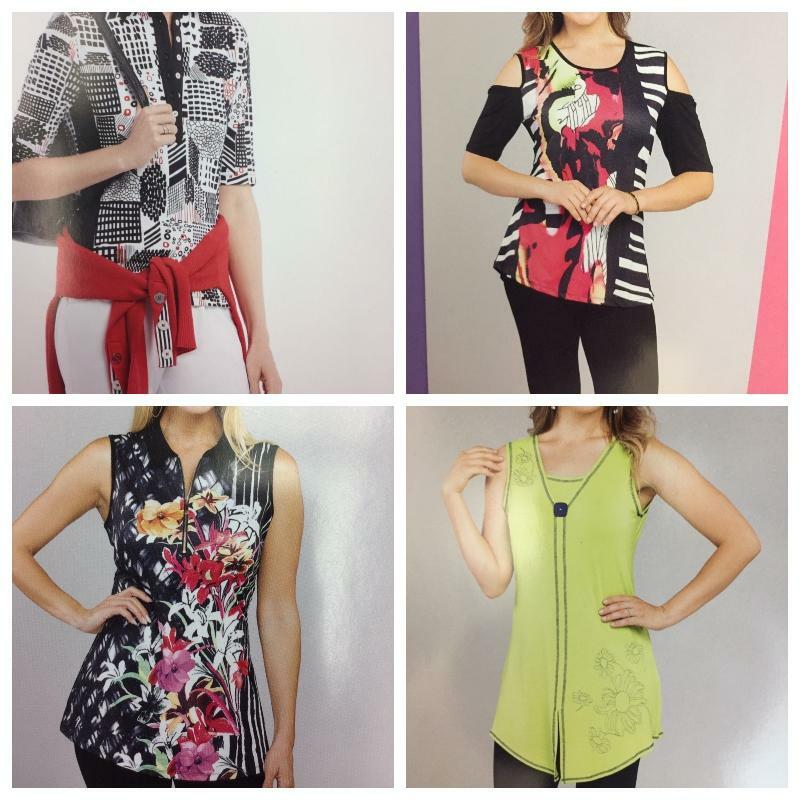 Joseph Ribkoff’s Collection has something for every woman! From fun styles to timeless classics, every piece is special and designed to make you feel and look your best. Reminder: If you see something you like online from this brand, please give us a call and we will order it in for you with no shipping cost. Talk to us for more information. 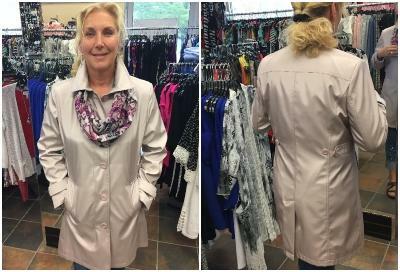 Fennelli trench coats are in a ¾ length ideal for petite ladies. It is a difficult style to find for women 5’4” and under but we did it and this style covers tunics and dresses for a classic silhouette. Available in tan, soft pink, or ice blue. Renuar Windbreakers are lightweight and easy to pack spring jackets perfect for travel and our wet weather. 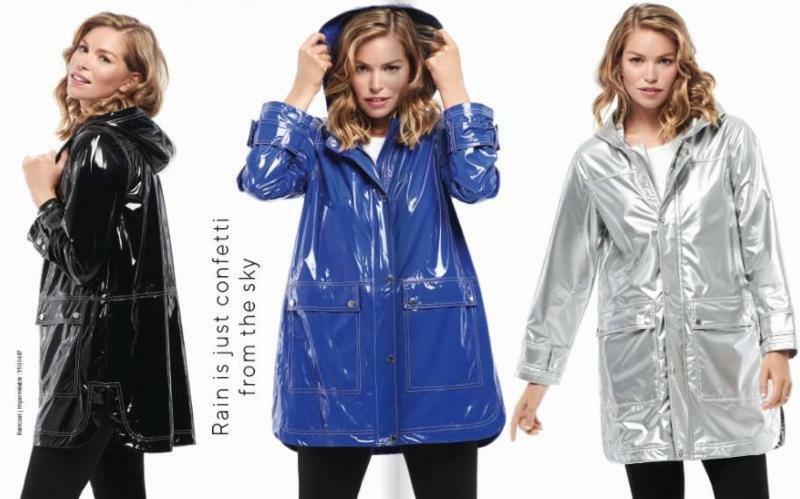 From Canadian brand BYLYSE, we have these fabulous rain slickers. The new collection of SAXX men’s underwear and bathing suits has arrived for spring. Yes we sell men’s underwear! Did you know that 80% of women buy underwear for their sons, boyfriends, husbands, and fathers? Treat them to the top selling men's underwear in Canada! If you're travelling with your husband, you'll want to pick up SAXX underwear and swimwear for his suitcase, which are the most comfortable styles on the market! Featuring hot new styles for summer and a preview of the early fall collection, this Trunk Show is a popular event! Sittings at 10 AM and 1 PM with limited space available. We have started collecting names-call us at 250-751-7799 to add yours. 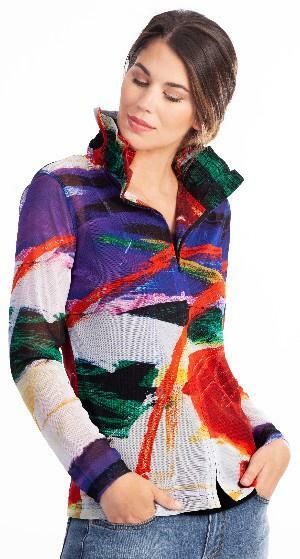 Longwood Social Club Presents Colour in Spring Fashion Show at the Longwood Clubhouse. 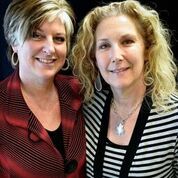 Please call Sally Monteith at 250-729-4911 for tickets and more information. Modal, bamboo, and rayon are all similar— natural yet manufactured fibers. Let us explain! In order to get rayon yarn, cellulose from trees is mashed up with liquid solutions and pressed through a spinerette, then doused in another solution to set the fibers. Essentially, wood chips go through a chemical process to become that beautiful scarf you can wear! The process has come a long way from the past and is now an environmentally-friendly and sustainable way of creating a versatile fabric. The Boutique is filled with styles we know you'll love and that we love to see you in. 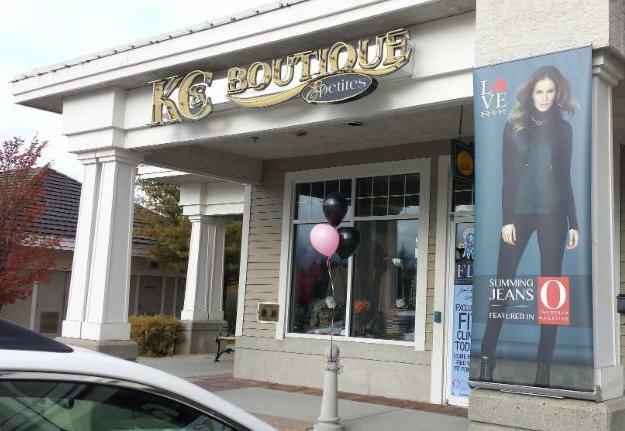 With so many options for spring, summer, travel, and beyond, you'll be sure to find your style at KC's! Please join us for the upcoming Fashion for Compassion fundraiser at the end of April; it is a fun and rewarding event to be a part of with such an important community organization benefiting.